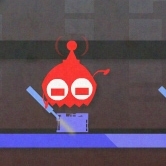 Help Anbot escape the factory so he can go chill at the beach and stops working like a ROBOT! You know what the best thing about our free online games is: we don’t discriminate when it comes to our users. You can be anyone in this whole wide world: and we promise you that we will offer you games that will suit your tastes down to a ‘T’! Do you want to wallow in feminity? Dressing up like a high profile actress, being waited on hand and foot, wearing the absolutely ultimate symbols of high fashion. Well then, you may just like our game Selena Gomez in Style; featuring the ravishing actress from Wizards of Waverly Place: someone you can be! If, however, looking pretty isn’t the thing for you, why not go on a bizarre killing spree - Family Guy style? Join the insane Stewie as he shoots people left, right and center! There are alot more action, puzzles, racing, fighting, dressup and physics games available on yepigames.net.